Jihad Watch : When? Where? When has it ever borne fruit? Where and when, in the 1,400-year history of jihad, have Christian lands near Muslim lands ever been left alone by the Muslims? Listen you demented, senile old Marxist, the Muslims have always coveted Christian Lands. Remember Byzantine/Turkey, Europe? 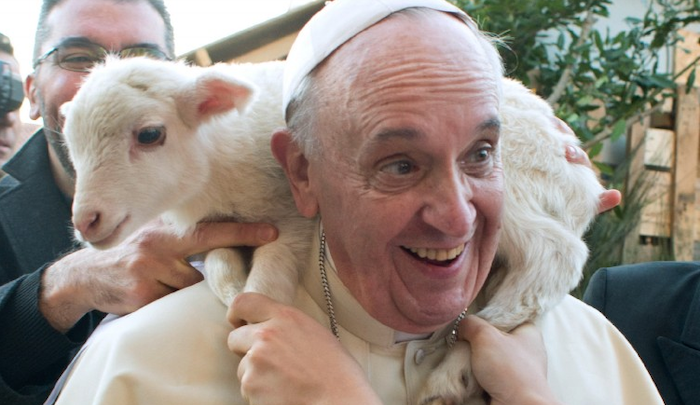 This friggin Pope is supposed to build God's Kingdom on earth! Apparently he is hell bent on destroying it. When, in that 1,400-year history, have Christians living in Muslim lands ever been granted equality of rights and been treated as full citizens? The Pope is guilt-tripping Christians into accepting mass Muslim migration into Europe while ignoring the history of Islam and denying the doctrines of Islam, and demanding that everyone believe that the situation will be different this time, despite the absolute lack of any reason to believe that it will be. Is he bent on destroying Europe as a home for free societies and obliterating the remnants of Christendom? That certainly will be the result if his exhortations are heeded.